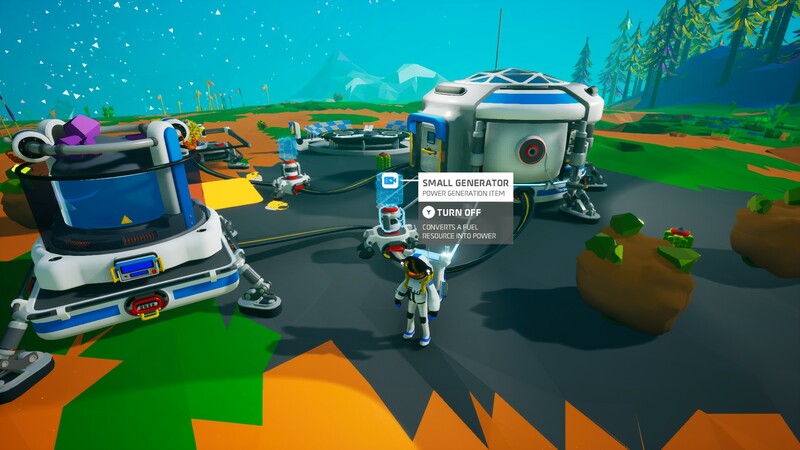 While the actual story of Astroneer is extremely thin and never fully explored in-game, the same cannot be said about the gameplay experience, which sets itself apart from many other survival games thanks to some of its mechanics. Truth be told, Astroneer actually does away with some staples of the genre so that players don’t really have to take care of their health, hunger level and so on. The only thing that needs to be managed properly is the oxygen level. Oxygen is unlimited while near a shelter, but once you venture away from it, you will only have a very limited supply that doesn’t last for too long. 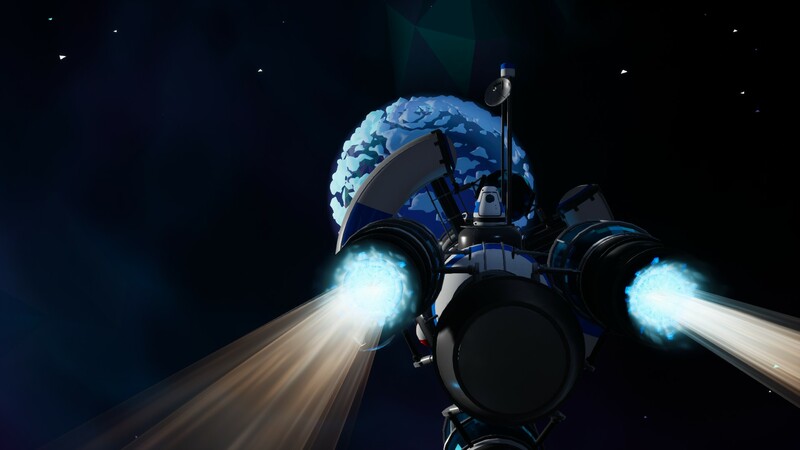 The only way to move farther and farther into any given planet is to craft and build tethers, which carry oxygen, provide some light and generally help players get a better understanding of the progress of their exploration on any planet. It’s a very simple mechanic, but it makes exploration quite engaging, as you always have a good idea on where you are and where you haven’t been to yet. The nice sense of progression is among the best features of Astroneer, which also makes it a very welcoming experience for those who aren’t familiar with survival games at all. At the beginning of the game, you will be thrown into your first planet called Terran with only your shelter and a few other facilities at disposal. It won’t take long, however, for things to expand. Exploring the surroundings of your shelter will allow you to find more materials that can be used to craft additional facilities that will let you explore even further: vehicles are extremely important, as the distances to cover become huge very, very quickly. The material gathering tool is among one of the most interesting features of Astroneer. 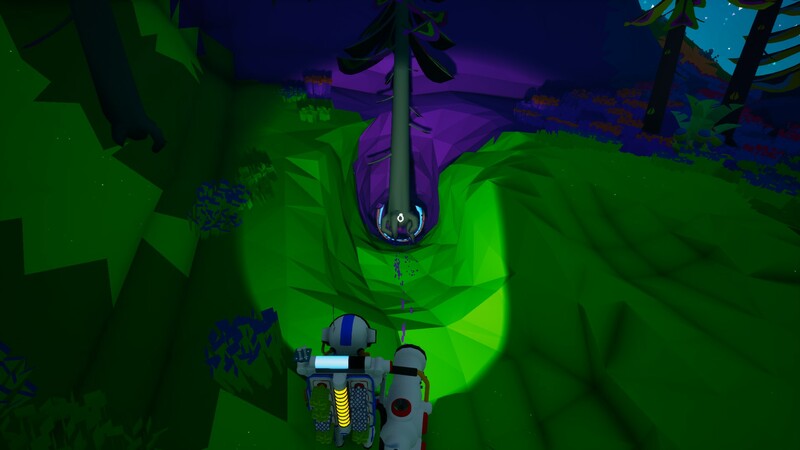 This tool not only vacuums resources but also soil, which can be later used to alter the actual terrain, allowing players to reach locations that are otherwise impossible to explore. It takes a while to get used to the physics involved in this process, however, so some practice is required to master the usage of this tool. Finding materials is not enough to craft new items in Astroneer. Several crafting recipes are available from the get-go, but many others aren’t, and must be unlocked using Bytes. Bytes are obtained by finding unique research objects on planets and analyzing them, as well as using the Research Facility, which will produce Bytes by analyzing some big objects that cannot be stored on the backpack but must be physically carried back to the facility itself. The whole finding materials – gathering bytes – crafting items loop is incredibly satisfying and manages to carry the game forward for quite a few hours. While Astroneer by and large lets players progress at their own pace, there are some situations where quick thinking is required. The surface of most planets (which are all procedurally generated) provides plenty of resources, but the rarest ones needed to craft the best items are only found underground and, in some cases, inside the planet’s very core. Alien lifeforms are waiting for the player under the ground, however, so you’d best be prepared, as things get way more dangerous than on the surface. Staying true to the game’s core mechanics, however, you are never truly forced to go underground, so you can avoid danger as much as you like. Despite simplifying some of the typical survival games mechanics, Astroneer can still be a complicated game. Thankfully, there’s a special tutorial that teaches players the very basics of the game: I suggest you play through it regardless of your experience with survival games to avoid feeling lost at the beginning of your first campaign. During your time in the game, you will be accessing a variety of menus multiple times over and over again and the game, sadly, doesn’t make this any easy at all. One of the major issues of Astroneer are the controls, especially when using a gamepad: they are unintuitive and, at times, needlessly complicated, forcing players to press multiple buttons to complete simple actions. Playing with a keyboard and mouse is definitely better, but it can still get slightly frustrating at times. Another major issue, which only shows itself after several hours, is that the gameplay loop will eventually become repetitive once all major items have been unlocked. While planets are extremely varied, with even different underground biomes, there’s very little to do once everything has become available. There are a few alien structures that can be interacted with, but they currently amount to very little. As the development team is still working hard on the game, we should expect this issue to be alleviated in future updates, but as it stands, the game offers little outside its basic gameplay loop, and once it’s completed, the only thing you can do is continue exploring planets just to experience their different visuals. One feature that alleviates this issue is multiplayer. Currently, the game only supports multiplayer with friends, which makes the experience even more engaging. Once servers become available, we should expect things to blow up considerably. Astroneer’s aesthetics are extremely pleasing to the eye, giving the whole game a laid back atmosphere. Despite being on alien worlds, the environments are never frightening (not counting the underground areas) and contribute to making the whole game feel almost like a vacation. Astroneer also runs well on most modern machines, as its system requirements are not particularly demanding. The music also helps to set the mood very well. 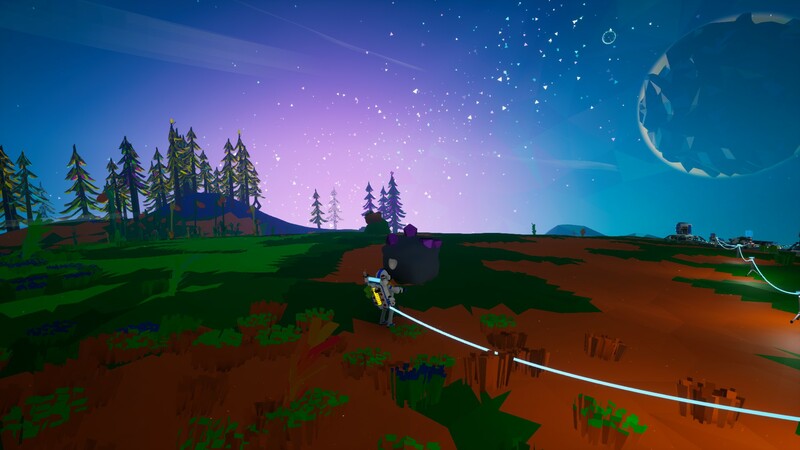 Astroneer is a very relaxing game, giving players the chance to explore the universe, but at their own pace. The progression system is satisfying, and it seems like it has been built so that players can enjoy the game, put in aside for a while, then get back to it at a later time whenever they want to. Just like a vacation spot. Reviewed on PC (code provided by the publisher). You can purchase the game for both Xbox One and Windows 10 PC (digitally via Xbox Play Anywhere) from the official Microsoft Store. Astroneer is a nice and relaxing survival game that does away with some the typical mechanics of the genre to offer an experience that's mostly based on exploration and crafting. The basic gameplay loop is very engaging at the beginning and manages to carry the game quite far, but the complicated controls, especially on pad, and the repetition, which will eventually set in after a while, damage the experience a little. Still, Astroneer is a very solid game that no fan of the genre should pass on, especially if they love outer space settings.